You can’t beat the camera you always have with you. It is now most likely that the images you see on a Facebook feed, Snapchat, or texts were taken with a smartphone. Nowadays, it isn’t uncommon to see news stories relying on smartphone video to make their case. One issue with the smartphone is its lack of ergonomics or features when it comes to making images, so here are some tips and tools to help take your mobile photography to new frontiers. 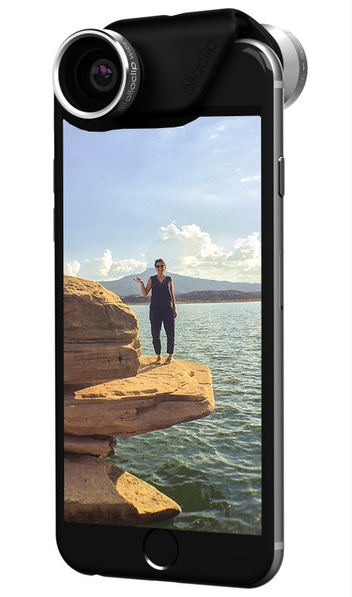 One thing that always bothers me is seeing a vertical video on a horizontal display. Now, some instances may call for a vertical image, especially with increasing media consumption taking place on handheld devices. But, you should have a reason for choosing vertical or horizontal and not leave it up to whatever was easiest at the time. If you are shooting something for YouTube and want people to watch it on a computer, stick to horizontal. When in doubt, stick with horizontal. This has become the standard for most displays and formats so it just makes sense. However, if you are sending a message to someone’s phone or relying on a messaging app, vertical can be the best call. One of the most common improvements to smartphone cameras is an add-on lens. Since most phones have fixed prime lenses that are usually fairly wide, they aren’t always going to work for every subject. Add-on lenses can help you change this by enabling macro and close-up work, a greater magnification with telephoto optics, or a fun fisheye look. These lenses can add some needed variety to your smartphone imaging and even open up avenues for further creative expression. There is a reason why camera lenses are always on the wish lists of professionals and beginners. For video shooters, adding some sort of support system is going to improve the professionalism of the final product. 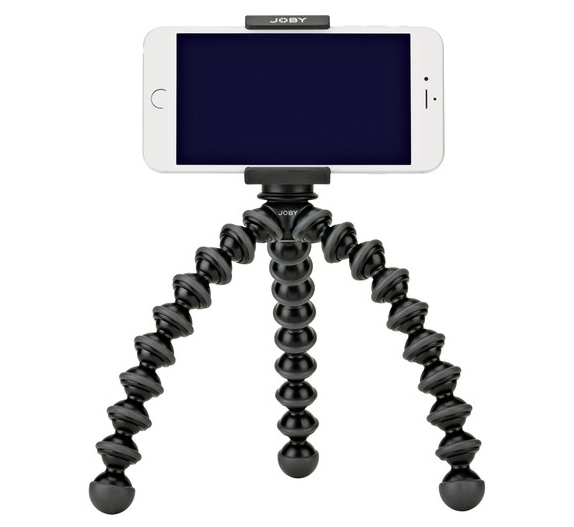 Phones don’t exactly have tripod threads on them, so you will need specialized options, such as this Joby GripTight PRO GorillaPod Stand, which clamps down on the phone to hold it securely. The mount is also sold separately, so you can use it on your favorite tripod with ease. Beyond these simple mounts, a variety of stabilizers, dollies, brackets, and more are available to suit almost any scenario. Love ’em or hate ’em, selfie sticks serve their purpose very well. 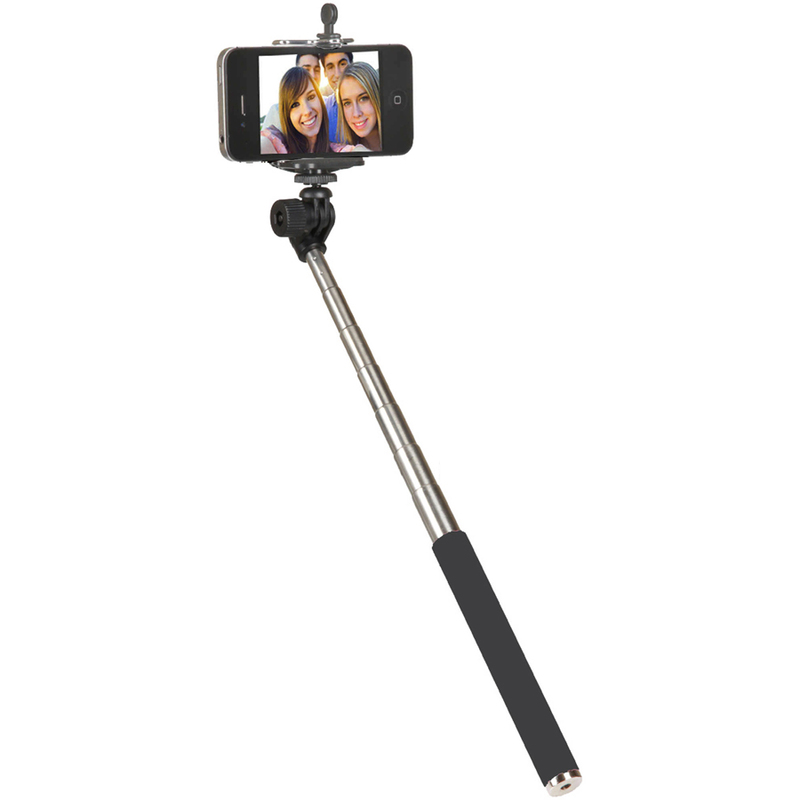 When used as intended, they let you easily capture flattering selfies of you or your group. Beyond that, selfie sticks can be used to get a better angle during shooting and can be used for more precise imaging situations. When working in photography, the most important element is always the light. 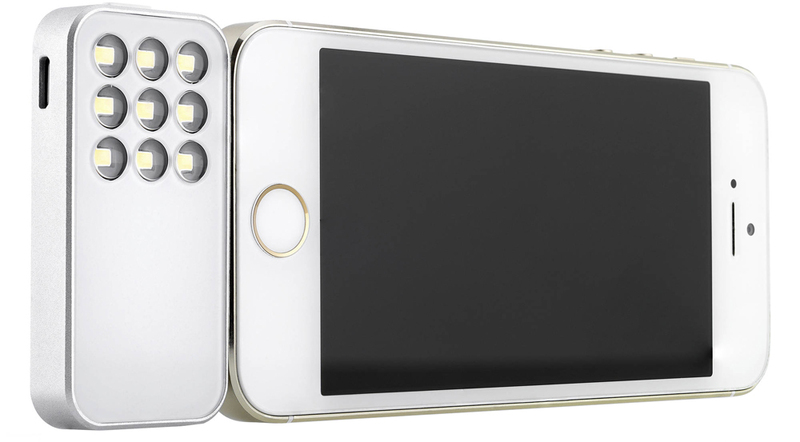 Manufacturers have gotten on board the smartphone imaging revolution and unveiled numerous compact lighting setups to give your mobile photography a boost. Many of these plug directly into a phone’s headphone/mic jack and can be controlled via an app. Adding a little bit of light to a scene can improve photographs dramatically or make a dark location manageable for certain images. One of the first things you learn when you start taking pictures is how to work in manual mode to really make your pictures shine. Most smartphones don’t immediately give you these options; this is where additional apps come into play, such as Manual for iOS. Along with this, apps like Photoshop, VSCO, and Instagram offer editing and sharing features that are sure to benefit your photography. One major difference between a traditional camera and your smartphone is that great care is taken to not touch the glass of a lens, whereas smartphone cameras are always getting fingers all over them. If you have ever wondered why your photos look a little soft or low contrast, it is usually caused by simply being dirty. Pick up a microfiber cloth and give it a wipe before you take any serious photos and the overall image quality can improve dramatically. One thing that can help here is a phone case. It usually provides some space for the camera lens and can prevent a lot of accidental touches during normal use. Cases can also provide an attachment point for using a tripod or even have a more ergonomic shutter release. For the video shooters out there relying on a smartphone or tablet, there is now a plethora of audio solutions to add another layer to your mobile videos. These options are designed mainly for iOS devices, but users should be able to find some standard 3.5mm mics to work on most smartphones and tablets. Adding a lavalier to your kit to handle an impromptu interview can save a shoot by providing clean, intelligible audio. 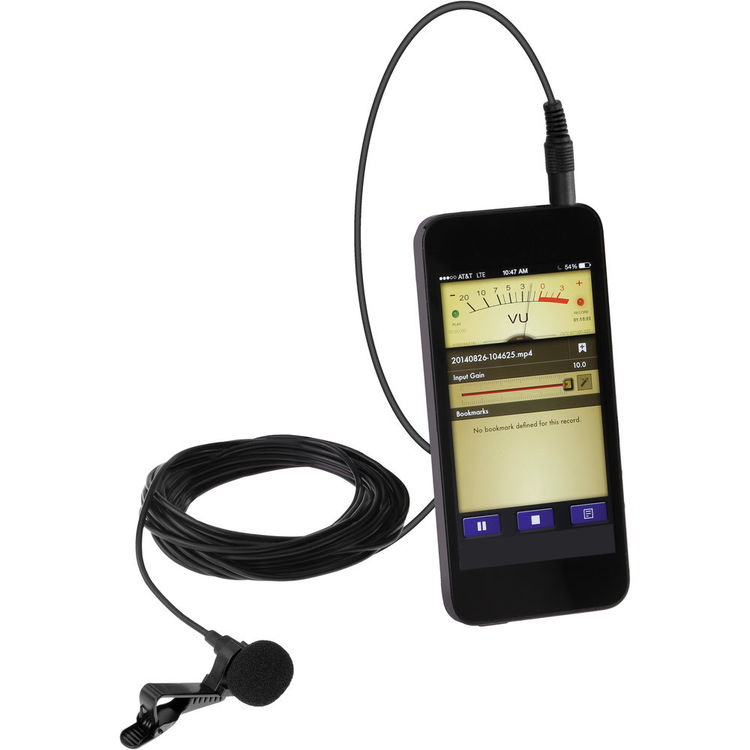 These can also serve as a simple audio recorder for a full-fledged video shoot. I travel with a beast grip and where ever I go it takes fabulous pics and attracts a great deal of interest. A phone is no substitute for a good camera, even a reasonable P&S. I look at the phone camera as an augment to my regular camera arsenal.Most modern cameras have better lenses and sensors than even the best smart phone cameras. Most cameras also have a flash, or can easily or inexpensively add an external flash. However I have come to see my smart phone camera as an essential piece of photographic equipment. I use whenever it is handy for household and hobby projects as well as a second camera and handy cam when I have no other camera readily availab;e. The best accesaries are good quality add on lenses which have a turret of fisheye, telephoto, and wide angle, and can be used for macro. I would like to get a small byt capable on phone flash with a diffuser. Proper light is essential to good photos. I hope that the money you make selling these toys compensates for helping to destroy the market for real cameras. What about smart-phone adapters that can mate to a conventional 1/4" tripod socket? Ideally with 3-axis adjustability (or a gimbal-type mount). There are plenty of those around if that is what you need. I even mentioned one in the article which you can find right here. Hope this helps! The simplest would be to get a macro lens attachment for your smartphone and probably using a small portable light to help out, but I can't say with any certainty since I am not well versed in that field or a doctor qualified to make those decisions. I have seen one thing called D-Eye that is supposed to be good for this type of thing but I do not know much about it. Hopefully you can find something that works. Nice round-up butmissing any mention of polarizing filters, especially for use around water and for improved color saturation. Thanks for the suggestion, polarizers are very useful for that reason. 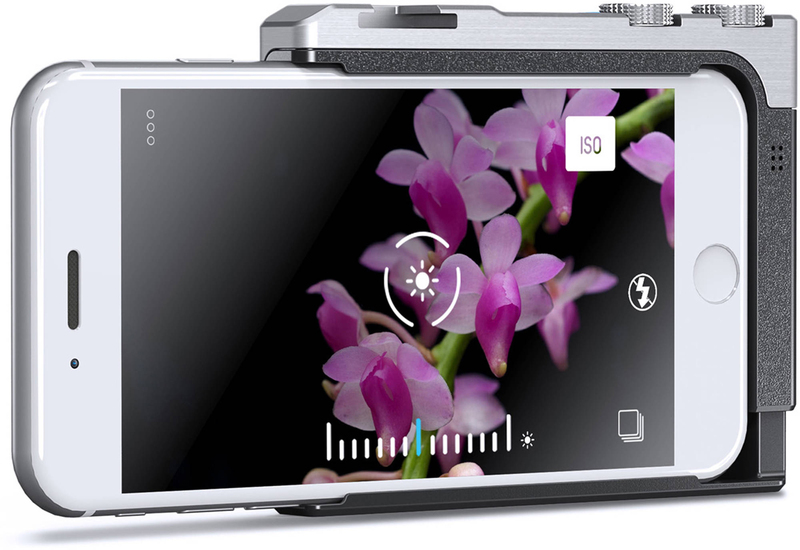 Unfortunately, we don't carry many dedicated smartphone polarizers and in an effort to keep the article concise and to the point we don't like packing in every single item possible. This was intended to be a more broad overview. Hyperlink for the selfie stick is wrong. Thanks for pointing this out, it has been fixed.